Light-up! Robo shark! Crocs! We’re a little obsessed with these triple-threat Croclights Robo Shark Sandals at Amazon and not just because of their very underwater-steam-punk feel. Crocs also make awesome water shoes, in case you’re doing any whitewater rafting or creek exploring this summer and want protection from sharp rocks, sticks, or you know, Great Whites. 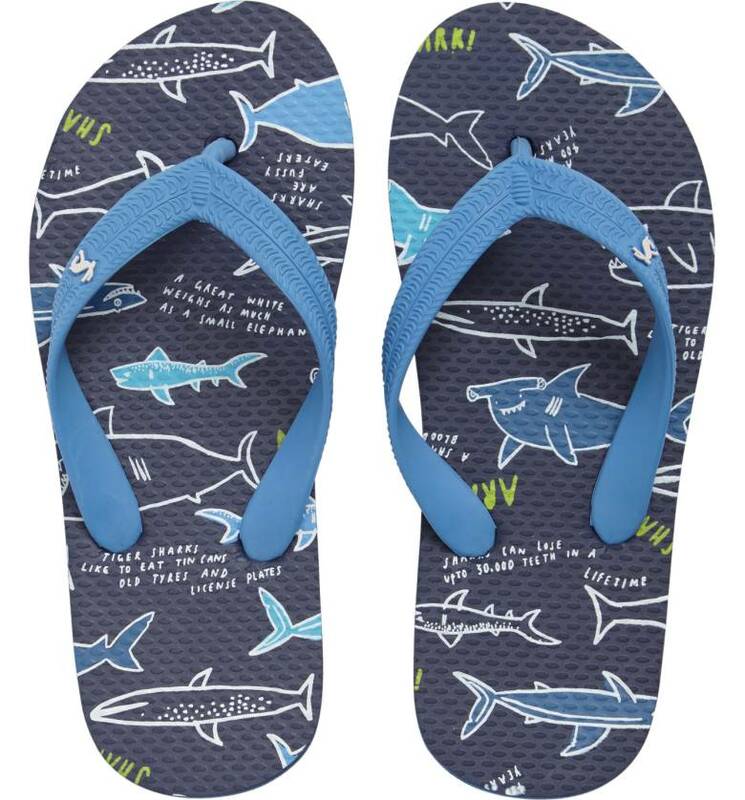 If your kids refuse to wear anything but flip flops in the summer, but still want something shark-themed, try these Joules Shark Flip Flops (other print at top) from Nordstrom. Perfect for at home, at the pool, beach, or anywhere sharks (um, hopefully not real ones) are found. Related: Get ready for Shark Week with these 10 awesome shark picks for kids. These Asher Shark Vans are a cousin of the much-adored unicorn vans we recently featured (slash totally freaked out about). 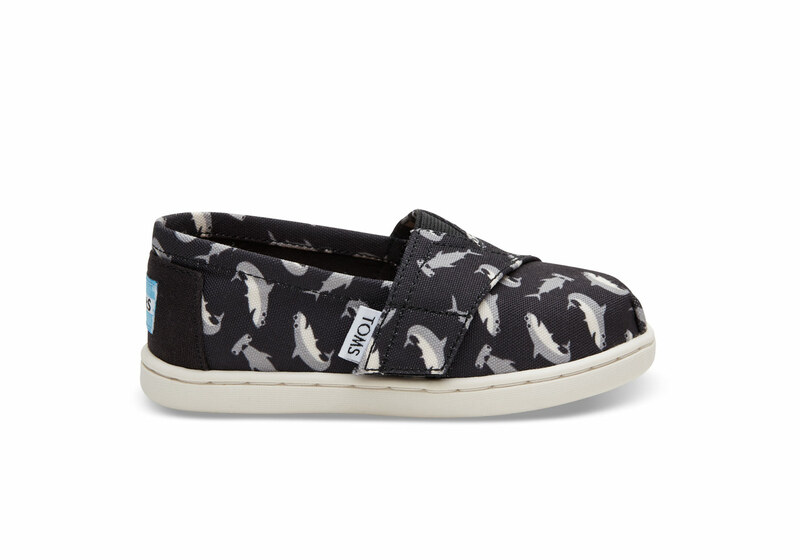 These shark mini Vans only come in toddler sizes, but check out Van’s urban collection of cool shark graphic prints for older kids and teens. These silly EMU Australia Shark Sneakers at Zappos may not strike fear into the hearts of nearby fishies, but man, are they cute. 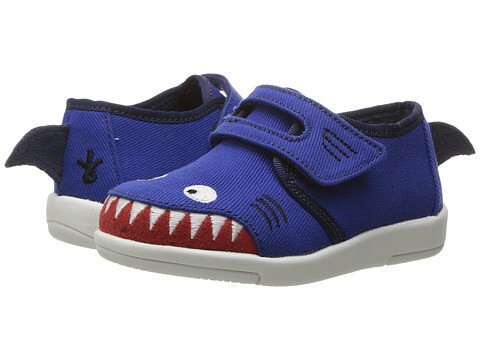 Not to mention great for any shark lovers who haven’t quite mastered the art of shoe tying. Related: Plus, you get to hum the Jaws theme while you push it. 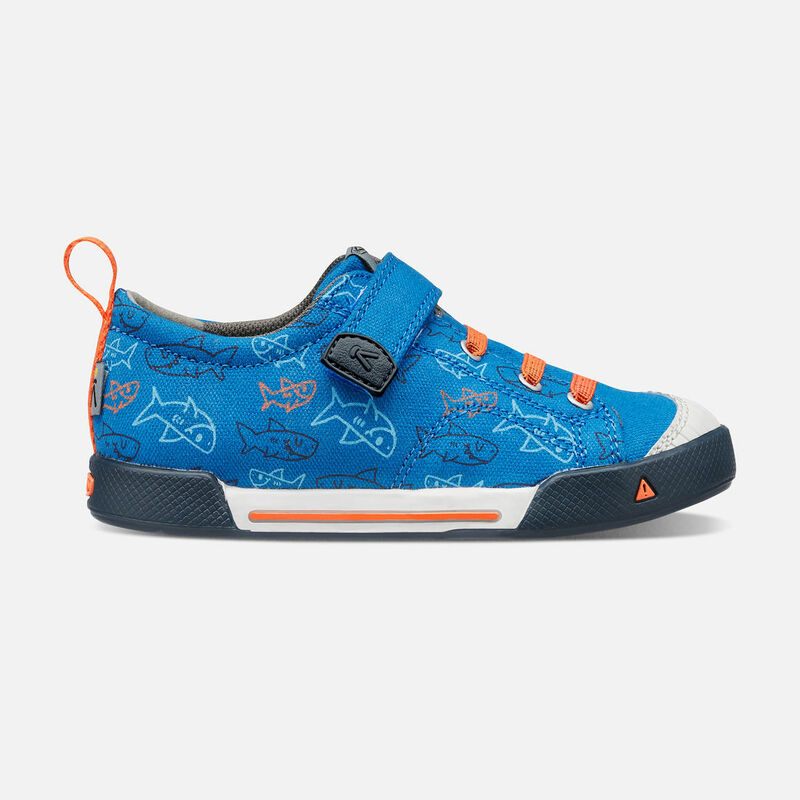 These KEEN Kids Encanto Finley Shoes put a friendly spin on everyone’s favorite predator, plus come with all the high-quality durability we expect in a KEEN shoe. 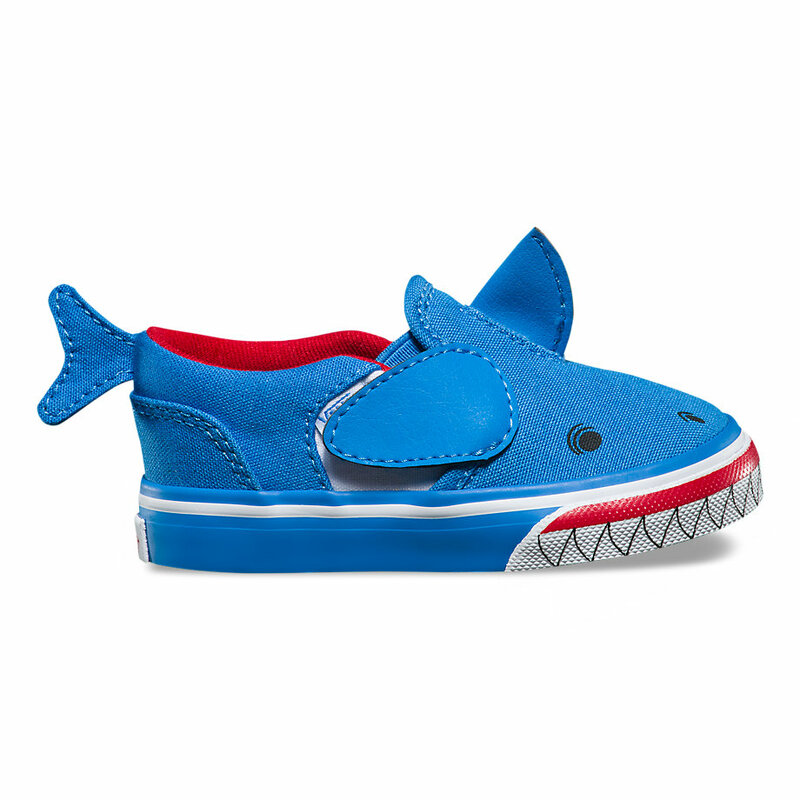 So little shark enthusiasts can wear them on all adventures — even the landlocked ones.